I met the piano player for the school I work at this week. It wasn’t hard….it is a pretty small school. I think I know everyone. Well…except for one teacher. I don’t know that I have met her but I have a feeling she isn’t real. Kind of like that teacher in the Wayside Stories books….except our school is all one story so I’m not sure how she isn’t discovered…for being not real. Anyway, back to the piano player. He is a super nice guy. We call him Mr. G because, even a group of people with educations in all things needed to mold young minds, can’t pronounce his name. Or, we are too lazy. Take your pick. Mr. G isn’t a huge guy, but he has a huge presence. He isn’t loud, but everyone hears him. He doesn’t move fast, but people make way for him. Mr. G is completely blind. I am inspired by him. Not only because he has been blind since birth and yet functions in a sight driven world, but because he has an amazing attitude and sense of humor. One cannot talk to Mr G without coming away with a smile or a chuckle. Most times, I also come away having learned something new. Did you know…there is braile music? I did not. Of course, Mr G was quick to add that he has a hard time ‘sight reading’ new music because he doesn’t have enough hands to read the music and play it at the same time. Funny guy. He also makes it clear he loves to go on blind dates whenever possible. Gotta love him. It is wonderful that the kids at my school are being exposed to someone like Mr G. Someone that is a bit different and special. I can’t think of anyone at my elementary school that had any sort of handicap or ‘difference’ like that. In fact, most of my life has been spent with people just like me. I actually didn’t realize what a handicap that caused ME until I went back to college a few years ago. When I took my cultural diversities class, one of our assignments was to bring in a childrens book that had cultural diversity in it. . . . um…..what? I am a huge book lover, buyer, collector, ….hoarder….. I have a lot of books. Big books, little books, good books, not so good books, how to books, how NOT to books, color books…..you name it, I have one. But I stopped in my tracks when my teacher said cultural diverse. I looked through all the awesome books I had bought my kids to help them learn numbers, colors, poems, fables, history, etc. All the books had white kids in full families. I had missed out on a huge part of teaching my kids. 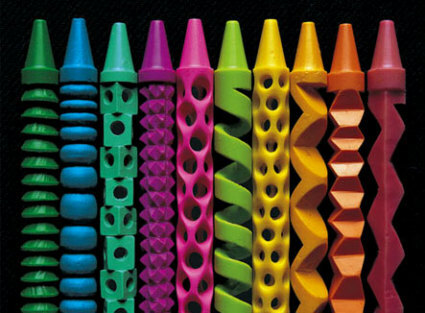 I finally found a book that worked, it was about crayons and how each color was important to make a full picture. It was a stretch but the teacher loved it. I went right out after class and got a bunch of books from the library about different cultures and types of people. I want my children to realize their world is more than just them. We are a huge box of crayons. I think I’ve made progress. I wish other people could see the need for this as well. This week, I had two incidences of kids being biased and it broke my heart. One little girl would not hold hands with an African American girl in her grade because she was black. I wanted to smack her in the head, but I didn’t. I just frowned at her and held the girl’s hand myself. Example?? I hope it helped. The other incident was with a tiny blond girl in Kindergarten. My friend that does special ed was in her room doing evaluations and the little girl told her she was ugly. My friend is also black. It makes me sad. My friend is actually a beautiful woman. I can’t change the world, but I can try and make a difference in my kids lives and in the lives of the kids at my school. Lucky for me, our teachers are responsible for their own libraries. Guess what books are going to be donated to every class, starting with kindergarten? Yep…gonna make my subtle move. If they don’t learn it at home, I’ll be danged if they don’t learn it at my school….cause I said so. This entry was posted in Beckie and tagged african american, biased, blind, blind since birth, books, braille, crayons, cultural diversities, cultural diversity, driven world, education, examples, families, handicap, kindergarten, love, piano, piano player, red rover, school, special ed., ugly. Bookmark the permalink.